Facebook continues to take steps to better enable businesses to attribute conversions to the actions that drove them, online or offline, and its latest move on this front is Monday’s introduction of an Offline Conversion solution for its lead ads. Direct connections between ads and results—whether a sale in a store, a booking over the phone or an in-person meeting, you can see, measure and adjust their campaigns based on real downstream metrics that matter to their business. Create campaigns based on offline success by targeting high-value customers from the prior month using custom audiences and lookalike audiences and excluding in-store purchasers to find new local prospects. 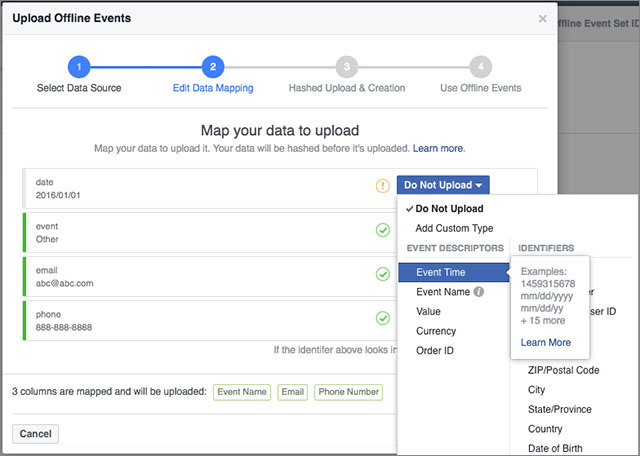 Use Facebook’s native offline event manager and upload the outcomes of their leads. Get started here. Brands that already use Salesforce or Marketo as their customer-relationship-management providers can take advantage of the fact that the Offline Conversion solution has already been integrated with their systems. And Zapier—which connects some 750 CRM systems, including MailChimp and HubSpot—is supported, as well. Get started via Marketo, Leadsbridge or Zapier. Build directly into the Offline Conversion API (application-programming interface) to connect CRMs to the solution. Get started here. Lead ads were designed to make mobile signups easy by removing the usual friction of filling out an online form. This saves people time and makes sure that businesses collect information that’s important to them. But it’s hard to understand what’s working. Acquiring information and intent from interested people is just one step in the path to converting a lead into a customer, and currently, marketers are trying a little bit of everything to move people down the conversion path, including phone calls, in-person visits or in-store transactions. For example, an auto brand might want to optimize its lead ads to those resulting in dealer visits, or a business operating in the field of education might want to optimize to lead ads resulting in people who begin the application process, or a business services client might want to optimize lead ads that result in people who becomes sales qualified. By sharing this information, businesses can attribute success to the right channels and optimize their campaign accordingly. Because these events occur in a non-digital space, it’s difficult for marketers to attribute these actions against the original campaign and verify the overall efficacy of their spends. 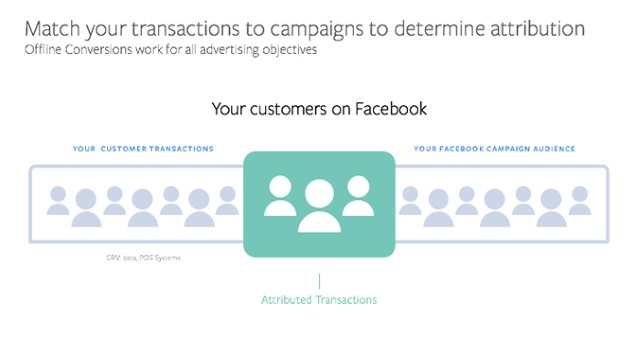 We believe marketers should be able to build campaigns around what drives actual transactions. That’s why we created the Offline Conversion solution to help marketers overcome this challenge. 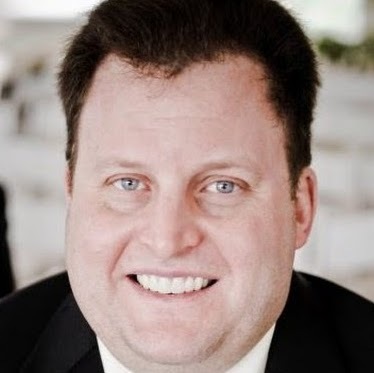 By allowing businesses to connect their CRM, point-of-sale or call center systems to their Facebook ad campaigns, marketers get attribution and insight they need to understand the non-digital outcomes of any Facebook campaign, including which lead ads are more effective at driving real business results.